बदलते भारत की यह आवश्यकता है की हमारी उच्च शिक्षा के आई आई टी सरीखे संस्थान देश की प्रतिभा को विकसित कर विश्वस्तरीय बनाएं . परन्तु हमारे आई आई टी , आई आई एस ,आई आई एम् व् ए आई एम् एस हमारी ओलिंपिक खेलों सरीखी निम्न स्तरीय प्रदर्शन का प्रतीक बन गए हैं . खेलों मैं हमारे शरीर की संरचना शायद आड़े आती है परन्तु मानसिक क्षमताओं मैं तो हम विश्व स्तरीय प्रदर्शन कर सकते हैं . हमारी हज़ारों वर्षों की सभ्यता ने हमारा मानसिक विकास बहुत किया है . यदि हम ऑक्सफ़ोर्ड या एम् आई टी सरीखी विश्व स्तरीय संस्थाओं मैं भारतीयों का प्रदर्शन देखें तो यह सिद्ध हो जाता है की भारतीय बहुत कुशाग्र बुद्धि हैं .परन्तु नोबल पुरस्कार या अन्वेषण मैं हम कहीं नहीं हैं .हमारी शिक्षा रट्टू तोते बनाती है . कम से कम काम कर डिग्री हासिल करने का प्रयास हमारी जुगाडू मानसिकता का प्रतिबिम्ब है . अभी हममें उच्च अभिलाषाओं को हासिल करने के लिए आवश्यक जुझारूपन नहीं मिलता है . देश मैं इस चिंतन की बहुत आवश्यकता है की हम अपनी वर्षों की बेड़ियों के खुलने के उपरान्त अब आकाश मैं स्वच्छन्द उड़ें . एयर मार्शल अठावले ने देश की पीड़ा बखानने का प्रयास किया है . इस चिंतन को आगे ले चलने की आवश्यकता है . ‘As engineers, as alumni and as Indians, we should be concerned about today’s leadership that is making tomorrow’s leaders at our IITs,’ says Air Marshal P V Athawale PVSM, AVSM, VSM (Retd). A side-note in history has it that Pandit Jawaharlal Nehru had wished to convert the oldest engineering institute in the country, the University of Roorkee, into the first IIT. However, Pandit Govind Ballabh Pant, then the Uttar Pradesh chief minister, declined to give away ‘a jewel in the crown’ of UP and the honour went to Kharagpur. I have had the privilege to have studied at the University of Roorkee (now IIT-Roorkee) and at IIT-Kharagpur for my graduate and postgraduate degrees respectively. I recall our deans and heads of departments as the leading lights of their departments and functions; ‘commanders in their own right’, whose authority and leadership steered academic and administrative functioning of these institutes. The wheels of each department moved with an inherent, independent energy and yet spun together in a way that drove the IIT chariot forward — a simple top-down flow of authority. In the four-and-a-half decades since I graduated from Roorkee, I served in the Indian Air Force for about 38 of those years and retired as Commander-in-Chief of its Maintenance Command. Even though I held the IITs in great esteem all these years, I only got a chance to re-engage deeply with the IITs again after my retirement. This time, my balding pate, my experience in the armed forces and indeed in life afforded me access to the intricate workings of the IIT machinery and camaraderie with the IIT faculty, who are now my contemporaries, college mates and friends. It also allowed interactions with students, young professors and retired, senior academics, who helped me gain new insights into these institutions that shaped my life. A return to my alma maters brought back the fervour and the sense of belonging that I had felt in these hallowed buildings decades ago. With utmost gratitude and integrity then, allow me to share my analysis on a disturbing trend in the leadership succession at the IITs. 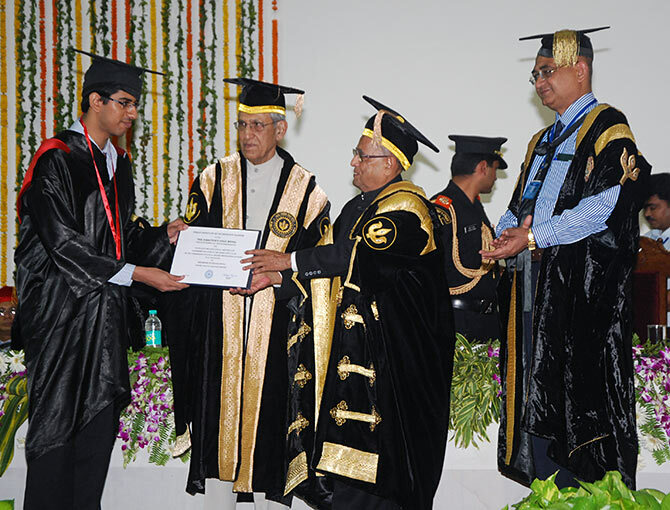 The IITs, being institutes of national importance, have held a distinct edge over the other institutes. An IIT gets substantial budgetary allocation, which is well beyond the reach of other government aided or private institutes. The IITs make huge additional funding through research projects provided by government establishments as captive clients. It is undisputed that the IITs get the best student intake as most Indians aim to see their children in IITs — an entry point to a glorious future. And it is undeniable that the IITs’ faculty is the most capable and committed, arguably the best in the country. Even so, are the IITs contributing significantly to ‘Make in India’? Why is it that we hear so little about research/design/development from the IITs creating global or even national brands? It is a paradox that the country’s best academicians and researchers are constrained to routinely produce only a stream of graduates, who in all likelihood, will do well despite the system. I propose that a critical reason is the leadership structures and team environments that the system IIT has come to propagate. An organisation where individual payoffs are prized more than institutional values is gradually but surely taking shape. Criteria for appointments of Directors, Deans and Heads of Department. Non-effective Board of Governors — autonomy leading to autocracy. In the enthusiasm to embrace the new corporate culture and not be tied down by what I have heard termed ‘seniority-inertia’, the IITs appoint young academicians to the top post of director. In the hope that a younger person will inject energy into the system, the senior-most appointment, it turns out, is often junior to the deputy director and many senior professors by decades. Even when such an appointment is imposed on the organisational structure, s/he does not enjoy the acceptance of her/his senior colleagues in real terms. A majority of senior and illustrious professors tend to isolate themselves and continue without their hearts and minds serving the larger goal. The IIT system is different from a private corporation that may fare well with a young CEO. Political leadership picking up a significantly junior professor to be cirector damages the existing value system. Isn’t it strange that among hundreds senior to her/him, they can’t find anyone who they deem suitable to be director? In the absence of confidence from senior colleagues, the young director prefers to appoint a team of deans and HoDs who are junior to her.him, turning the strata of key organisational leadership into an army of the director’s ‘yes men’ and the leadership fails to percolate down from the director to all levels in the organisation. With loss of leadership comes loss of initiative, accountability and responsibility. In such a system, the director is the only leader and his chosen ‘inner circle’ of yes men tows his line without dispute or discussion. All those kept outside the inner circle and thus deemed inconsequential follow perceived goals, there being no commonly accepted goals or leadership to guide them. In the 1970s and 1980s, most HoDs appointed on the basis of seniority could stay HoDs for decades until they reached retirement. 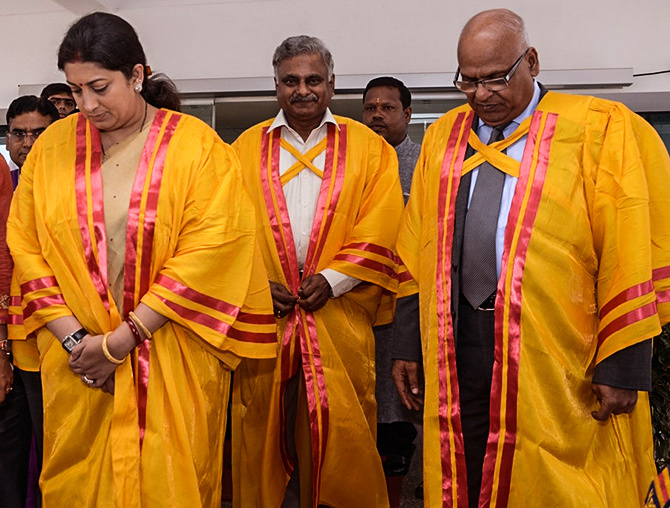 Justifiably therefore, the system of rotational appointments was brought in to provide academicians with administrative experience while relieving their predecessors to return their focus on research and academics. However, the argument against seniority has been taken too far to routinely appoint those who are way down in the seniority sequence. The same is true for the appointment of deans whose number has unfortunately proliferated with many functions trespassing into the registrar’s administrative domains. It may be argued that the director is not the final authority and there are checks and balances on that senior-most appointment in the form of the Board of Governors, BoG. The BoG is an honorary body comprising professionals from different fields whose job is not to exercise close supervision on the IITs. As such, they are only mandated to meet periodically, approve proposals and leave the functioning to the autonomous director. Even members from industry, including chairmen with the most genuine intentions, are unable to contribute or address key issues because they remain distant from the day-to-day workings. The dictum of ‘autonomy promotes creativity’ that is cited in the director’s appointment results in one man’s autocracy while the ‘senate’ system gives an illusion of democracy. Only on paper does the BoG exercise its authority. For the sake of exposition, let me contrast the current IIT system with another that I have come to know well — the Indian armed forces. The average civilian citizen often views the armed forces as verging on autocratic, where discipline is enforced by dictatorship. An army commander or an equivalent commander-in-chief of a naval or air command has the last word for the tens of thousands of troops under his command. It may come as a surprise that the four most coercive HR functions — employment, promotion, appointment and re-employment on retirement — are not in his control. One: Employments are undertaken by Service Selection Boards, not under the C-in-C’s purview. Two: The C-in-C is only a member of the promotion board along with the service chief and several other C-in-Cs of equivalent rank. Three: The C-in-C leads a given team; appointments are made centrally by the service headquarters’ personnel branch. And four: The C-in-C has no say in re-employments, except a distant recommendation. In stark contrast, all the four functions are predominantly in the hands of an IIT director! A system that breeds sycophancy will not breed leadership. The leadership of today’s IITs has challenges beyond measure. The directors are thrown into a system where they are not natural leaders. They are good; they can be great if brought in at the right time to infuse leadership down the levels. A great majority of IIT academics have integrity embedded in their character. That keeps the IITs flying (if not high) despite constraints. However, individual strengths will synergise if systemic values improve. Revisit the norms for appointment of directors, deans and HoDs. Consider candidates only within a 3-year seniority band. The BoG must have no place for guest artists. Appoint such academicians/technocrats as full-time members who will stay committed to the cause of the IITs. One BoG can be asked to supervise the functioning of three to four IITs within a region. Why should we be disturbed by poor leadership at our leading institutions? It is because leadership affects the very outcomes for which the IITs exist — i. R&D to shape the innovations of tomorrow and ii. well-rounded, ethically grounded and technically sound engineers for future generations. As engineers, as alumni and as Indians, we should be concerned about today’s leadership that is making tomorrow’s leaders at our IITs.